Wow! I wasn’t sure that I would be able to join in the fun at Tara’s Monday Made It, but a cold Arctic blast has basically closed every school in the state of Wisconsin and Minnesota, so, I felt like I could splurge a bit and take a few moments to expand on my “Word Snow Globe” idea that I put together before the holidays hit like a ton of bricks! Have I told you how much I. LOVE. THESE. Honestly…why haven’t I made these sooner? I started with these great little 6-packs of storage containers from Dollar Tree. Dollar Tree also carries an 8-pack of these containers, but they are just a “skooosh” smaller than the 6-pack and I’m not convinced these would work quite as nice as their larger cousins. The number on the back of these is 3927777607. One thing that I’m not in love with about Dollar Tree is that not every locale carries the same product, so I thought I’d include the SKU number for you…just in case. 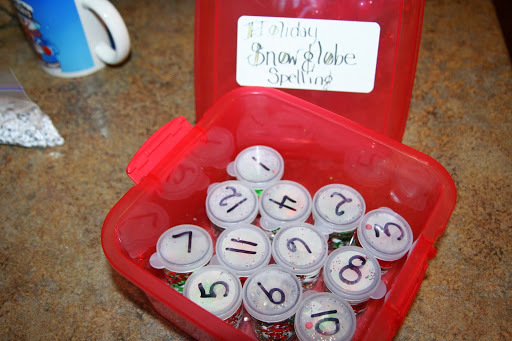 Each container includes one of this week’s spelling words, spelled out in individual letter beads. Your students search for all of the letters in the container, write them on my Snow Globe Sheet, and then unscramble their letters to arrive at one of this week’s spelling words. It’s really pretty simple. My thirdies love this activity, but they did find it a bit challenging, so this is a really great Word Work station of intermediate grades (3-5). I can’t wait to try these out this week! Remember, “sharing is caring,” so why not make a second set for your partner-in-crime? If you aren’t feeling that lovey dovey, at least share my post with a colleague, a new teacher, or your grade level buddies…I’d love to have you stop by my blog sometime! I ran into my friend Kelly over the holidays and she told me that she wished like crazy that I would post again since it has really been ages since I’ve posted anything of substance on this blog. The start of the school year really kicked my behind…new grade level, new partner, lots of changes at my school and in the district…I’m still not sure about my bearings, but I was able to pull myself together at least enough to fool the masses into believing that my head was screwed on straight. So here’s to 2013…and here’s to Word Work and what you can do with your Word Work in 2014! 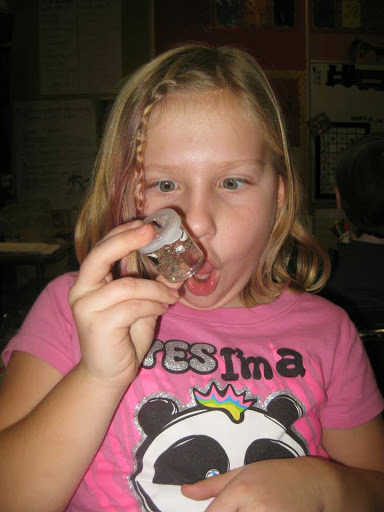 Enter…Snow Globes Word Work Stations! Anywho…I filled the containers with small letter beads that spelled out each word (i.e. r-e-i-n-d-e-e-r) and added some Dollar Tree Glitter and some holiday confetti that I picked up at Michaels. Then I added water. I numbered the top of the container so that I knew which word I had put in the Snow Globe so that I could create an answer key for the activity. I can also see possibilities for doing these with colored rice instead of water. 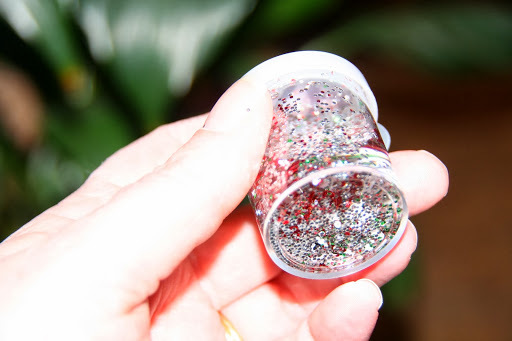 You’ll just have to play with how much space you’ll need in order to move the beads around in such tiny containers. Have fun playing in the “snow” with your kiddos and let me know how you plan to use these! I love hearing from you! Happy New Year to Kelly in Sheboygan and to all!